I’d almost guess that most of my girls on here are already Bene-Babes (i.e. Benefit Addicts) like me, but for those who aren’t… where have you been? Benefit are killing it right now with every aspect of makeup and skin care and are always just a step ahead of the industry in terms of product, packaging and marketing. I mean, when this parcel landed on my desk and I caught a glimpse of “Galifornia” – I honestly didn’t even care what was inside because the packaging was so pretty and I knew I loved it already! When I opened it up I was even more surprised to see the most stunning peach blush with a beautiful gold shimmer and I could not wait to use it, especially in the Summer sunshine. 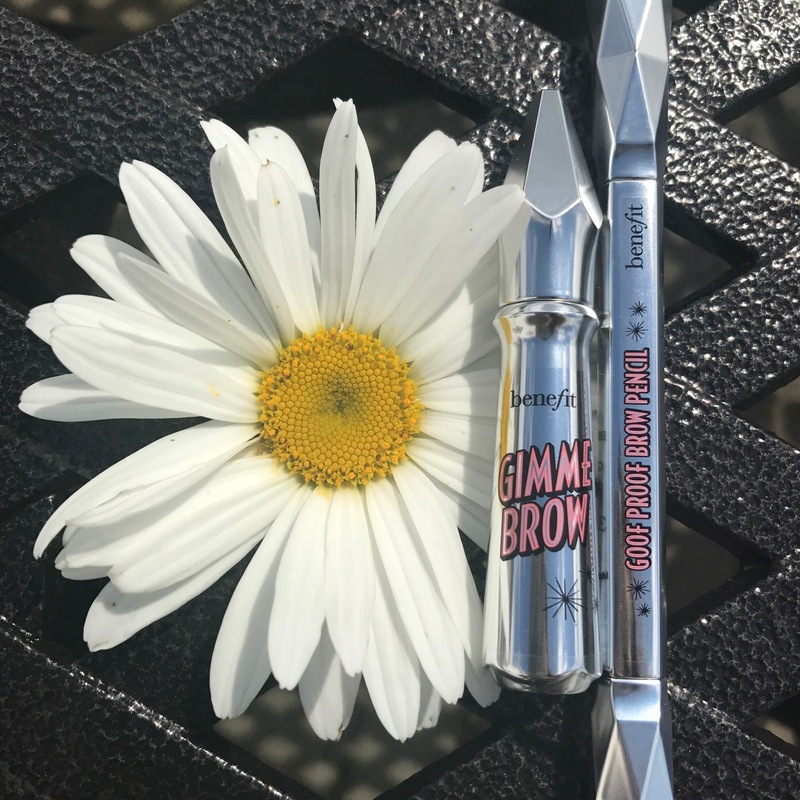 I have been using the Benefit brow products for years and one of my all time favourites is the “Gimme Brow”. It is the ideal product for giving shape and definition to your brows without an overly heavy or caked look. If I am going for a more subtle look, I will use this on its own, but if I am going for a heavier brow I will finish with this in order to define the hair strands and finish the look. And finally the Goof Proof Brow Pencil is the perfect product to keep in your handbag. With your pencil on one end and your brush on the other, it is my go-to product for topping up your brows throughout the day or for a quick brow look on those busy mornings when rushing out the door. This is the tiniest selection of the many wonderful Benefit products that I’m obsessed with at the minute and if you are anything like me then you will spend hours on the Benefit counter anytime you pass it by. If you haven’t got one near-by then check out their website – HERE where you can find their fab products and also a list of their stockists!